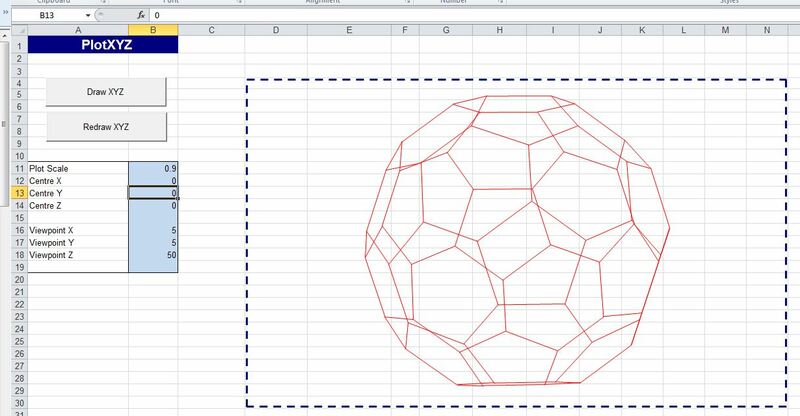 Since, according to Google, it is the 25th anniversary of the Buckyball, I thought I would draw one in Excel. Since it is still just Buckyball day somewhere on the globe I thought I’d share a few more images. 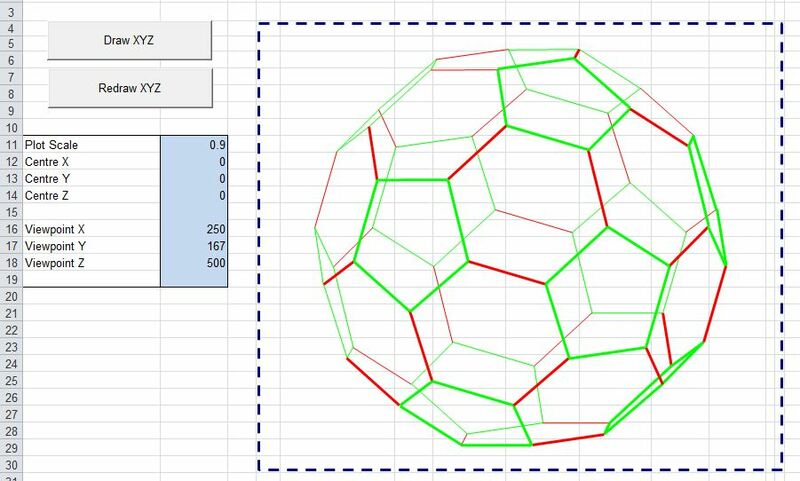 This entry was posted in Drawing, Excel, Maths and tagged Buckyball, Plotxyz. Bookmark the permalink. 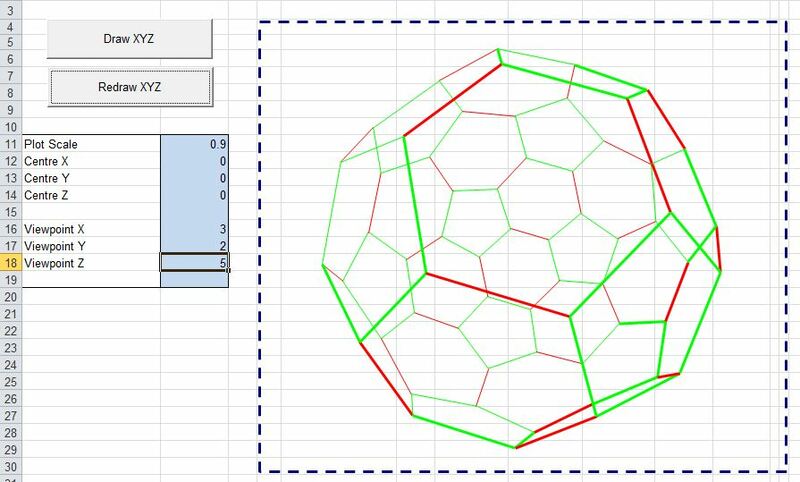 Reminds me of trying to create a dodecahedron for my daughter’s classroom play. OMG, that was a mess. It’s amazing what can be found online. I did something similar a while back. Back in my Amiga 500 days it was a common demo effect to draw 3d shapes. Of course I had to try in Excel! Rob – very nice. I thought about animating mine but didn’t get round to it. It’s good to have the example. 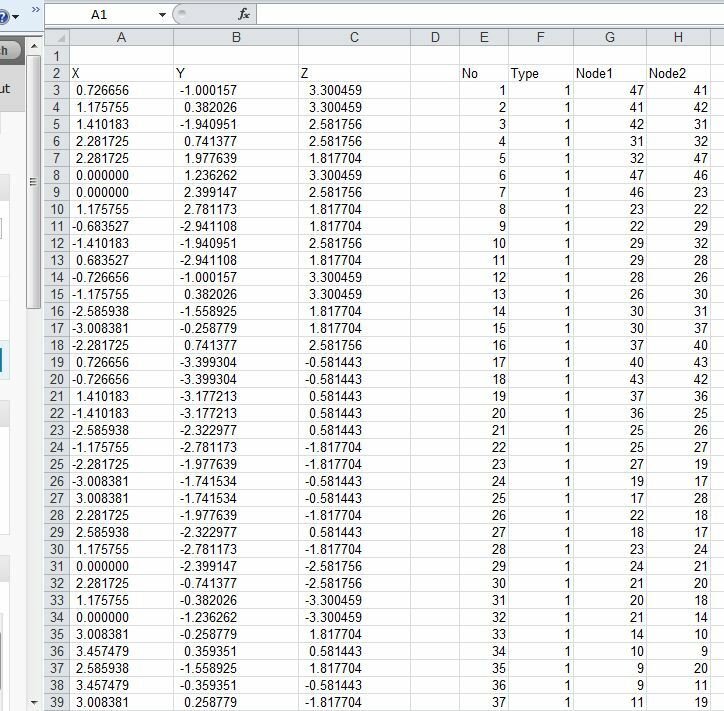 Looking at your code reminds me that I really must tidy up mine in my plotting program as well, as its suffering from a bad case of bloat.